With our Complimentary BuyBack Protection® Service, we will buy back up to half of your foreign currency bank notes (coins not included) at the original exchange rate you bought them from us. It’s as simple as that! 1. You must have your original transaction receipt and the date of the transaction must not exceed 30 calendar days. 2. The complimentary BuyBack Protection® Service applies to foreign bank notes (bills) only and not foreign coins, even if foreign coins were sold to you at the time of your original purchase. 3. The Complimentary BuyBack Protection® Service applies to half of the foreign currency purchased as indicated on your transaction receipt. If you wish to sell back more than half of your original transaction amount, the remaining balance will be bought back at the best rate available at that time. 4. This service applies to transactions up to $5,000 CAD per client per year. This means that the maximum amount that will be bought back at the original price cannot exceed $2500 CAD. 5. All BuyBack Protection® Service transactions must be done in person at a retail location and may require personal identification. 6. As this is a complimentary service Interchange Financial Corporation reserves the right to change the terms of or withdraw the Complimentary BuyBack Protection® service at any time and with immediate effect, without any liability. No catch! As Canada’s leading retail foreign currency exchange company, we are constantly striving to bring innovative services to our clients in order to ensure that they are receiving the best service and value for all of their foreign exchange needs. 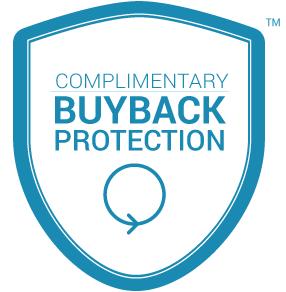 Our Complimentary BuyBack Protection® Service is just another example of this commitment.